I would like first to thank Rebecca for inviting me on this Tour! Between Aug 15-26, Rebecca invited over 30 book bloggers to post on a book by Steinbeck. Click on the above picture to access the list of each review. The Steinbeck Classics Circuit has 4 more days to go, so be sure to go and visit the page every day to see what the next bloggers will have to say; and keep an eye on this great website, where Rebecca regularly organizes classics tours. 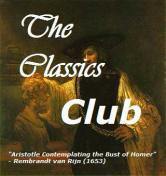 This was the opportunity to read this great classic I had not read yet. I enjoy very much Steinbeck’s writing, his East of Eden is one of my favorites. Usually, I don’t appreciate novellas as much as novels, but I found this one excellent. Steinbeck has such a power of evocation, great description of nature and characters. His use of spoken language and of many dialogues enhances the liveliness of the whole work. This is a tough story, fit though for describing tragic events all too common during the Great Depression. The tragedy is conveyed as much in the events of the story, murders for instance -I will not go into too many details not to include spoilers just in case you have not read it yet- as in the mind of the 2 heroes, George and Lennie, two migrant field workers, with their unattainable dreams of a better life. The beauty of the descriptions of the life they dream of makes it even worse, as the reader knows instinctively that these dreams will never come true. Apart from the main themes of powerlessness and loneliness, due to social or character contexts, there are many overlapping themes present, for instance innocence – but innocence up to what level?, mutual understanding, and compassion. These 2 last themes are portrayed by the character of Slim, the only one to really understand George and Lennie, and to show a final gesture of compassion and tenderness towards George. WHICH IS YOUR STEINBECK’S FAVORITE WORK? WHY? This entry was posted in Fiction, Novella, Reading Challenges and tagged Classics Circuit Tour, Steinbeck by WordsAndPeace. Bookmark the permalink. I too love East of Eden. I read this once, in one sitting, and I think I read it too fast because I just felt disappointed it wasn’t deeper or longer. I was very touched, though, and I think you’re right, it brings up lots of interesting issues. Now that I’m reading Grapes of Wrath, I need to revisit Of Mice and MEn. Of Mice and Men redeemed Steinbeck in my eyes. After having to read the horrendous The Pearl in eighth grade, I wasn’t looking forward to this ninth grade second Steinbeck read. But Of Mice and Men is brilliant and through it, I was introduced to the further brilliance that is The Grapes of Wrath and of course East of Eden. 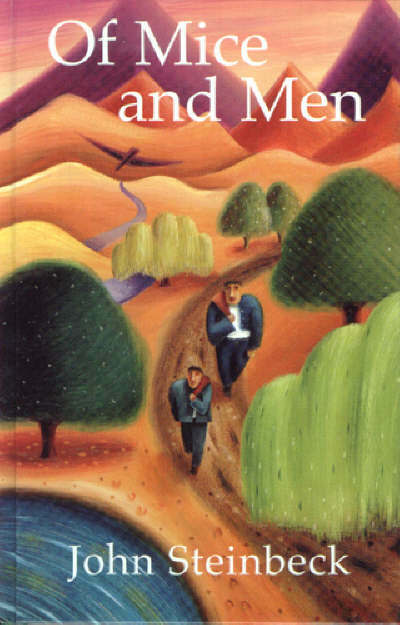 I’ve reread Of Mice and Men several times since first reading it in school and it certainly ranks as one of my favorite books. It’s concise but complete. I thought that I had read this book way back in the year dot but now realise that I haven’t, it happens when you work in libraries and handle so many books. I’m going to read it soon. I loved Travels with Charley, if you haven’t already read it you should give it a go. I know what you are talking about. I haven’t read yet Travels With Charley, but am planning to. Thanks for visiting.